So. Much. Yes. Isn't this the truth? Isn't there something about being around a sweet, life-giving friend, that makes you settle into life differently? 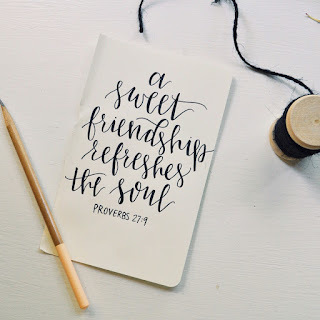 I love the thought that it "refreshes the soul" - so often our souls are in the midst of chaos, and sweet friendship has the healing balm we need for our hearts. I want to be one of these friends to my people. 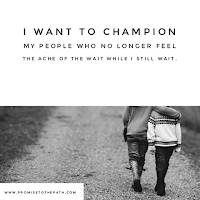 I want to have the opportunity to accept them, love them through the hard stuff, laugh with them, listen to them, rally behind them, support them, encourage them, fight for them. I want to have friendships comfortable enough to speak gentle honesty, and tough enough to withstand life's frustrations. I want the two-way street type of friendships, where we love fiercely, listen intently, and speak life into one another. Those friends who make an effort. Who see you when you're hurting and love you through it, without judging your circumstance. Those friends who pull you out of a pity-party for one instead of hosting the party for you. The ones who celebrate your successes --- these are the kind of adult friendships that are so crazy hard to find, yet the best to cling on to when you have them. I want this as much as I want to be this, and I feel like God is asking me to do all of these things, and to recognize that I have found these people, too. It's a hard thing when you realize who is for you and who isn't. It's painful when you realize there are people who don't make an effort to allow you in, for various reasons. It's hard to try and be an encouraging light in someone's life, and then be dragged down into the pit. It's hard to feel like you have a safe space to be yourself, only to be met with judgment and condescending words. Female friendships have a lot of power - beautiful and corrupt power that can drastically alter pieces of our lives. Can we take a challenge together? A challenge to love and not tear down, to withhold judgment, to celebrate successes, to stop comparing our life to another, and to cling to juicy moments of grace? As women, we have a beautiful opportunity to speak into the brokenness of this life with tender words and gracious thoughts. We are given opportunities in so many ways to bless the women in our lives; we just have to open our eyes and notice them. Reach out to the new mama who is feeling guilty over normal thoughts that she's never experienced (and who feels so alone), watch your friends kiddo's so she and her husband can have a date night, listen (and REALLY listen) to the woman who is fighting back tears, the wife whose marriage is falling apart, the friend who is struggling and doesn't know what to do or where to turn. Go on a girlfriend date and laugh - laugh hard, and stay positive. Get together with friends and have fun instead of husband bash. Rally behind marriages and parenting and singlehood and barrenness and solitude. The enemy wants us to feel like no one understands, no one loves us, and no one is there - but don't you know, sweet friend, that this is a lie? We're all stumbling somewhere, we just need one another. When we hold each other up instead of tear each other down, that is when we live out the gospel - that is how we show a broken world what love truly looks like. 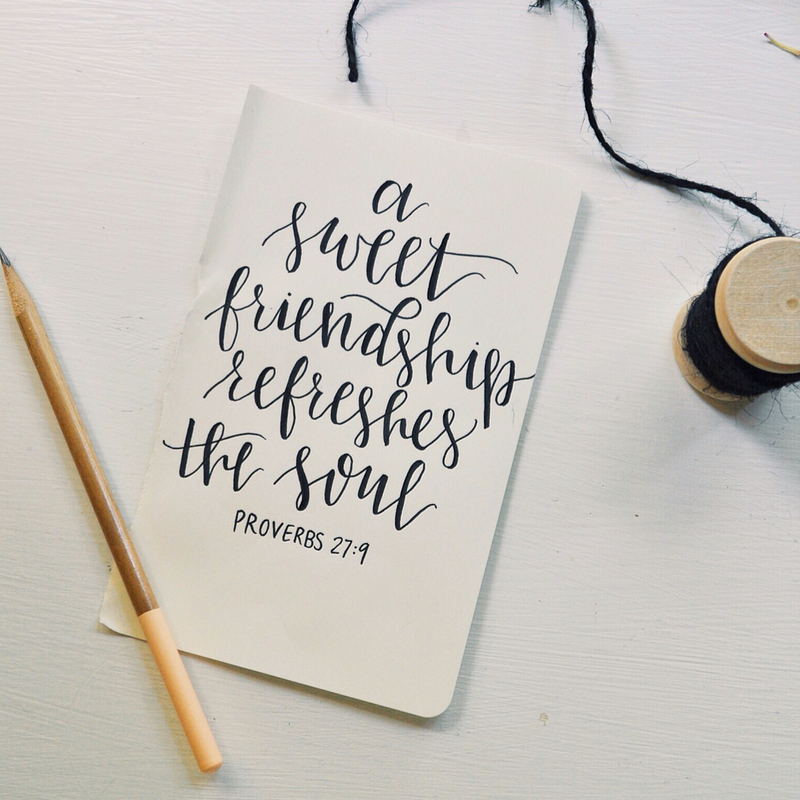 Sweet friendships do indeed refresh the soul. Find those women in your life, the weirdos who love you for who you are, and you love for who they are. We don't have to play games, we don't have to compare, we don't have to feel threatened. We just have to love. Fiercely. With grace. With kindness. With cupcakes and cookies and cake because you get to! See just how much sweeter life can be when you rally behind the women in it (and not just because of the goodies). Go love your friends - the world is unkind enough to them. They need you.